Needing very little introduction wherever she goes, Zoe is arguably the world’s the most influential drone pilot. 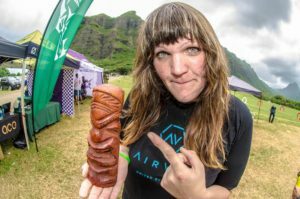 As a current FPV freestyle champion and one of a mere handful of female competitive drone pilots, Zoe brought 3D flying to the scene before most industry professionals even knew what it was, much less how to fly it. Beyond her renowned skills as a pilot, Zoe is also an expert builder with her own line of signature motors from BeeRotor. Although still passionate about freestyle and 3D flying, Zoe became an X Class enthusiast after seeing it debut at Drone Worlds and has set it in her sights as the next domain.